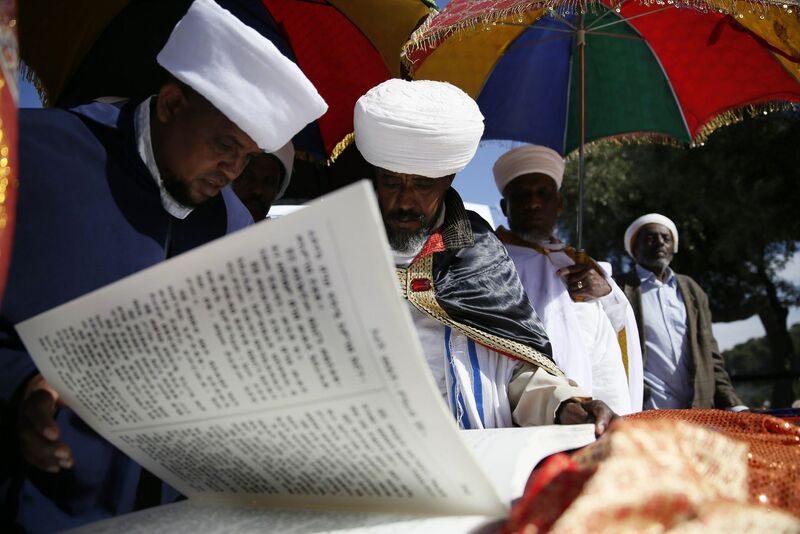 Ethiopian Jews celebrate Sigd (Photo AP). What can we be sure of? What constitutes an unchangeable, indelible, essential marker that makes a person Jewish, that defines what we can call Judaism? Twelve students and I joined together to consider these questions at the ALEPH Ordination Programs’ annual retreat (otherwise known as smicha week). I was teaching a class entitled “Judaism without Halakha and the Holocaust.” We had gathered to consider how these two elements had been deployed as identity markers and, just as importantly, what Jewish communities looked like when neither were primary factors in their practice. Sometime in the century or so before the Common Era, a Jewish man survives a shipwreck. His inscription of thanks survives – in a Temple of Pan, one of multitudinous pieces of archeological evidence demonstrating that our ancestors regularly worshiped other deities. During the course, my students learned that some Jews still practiced polygamy in the twentieth century – and slavery, too. They discovered festivals they’d never heard of (Sigd). They read about practices that intrigued them (Kaifeng Jews reciting Torah barefoot and with veils over their faces). We asked ourselves: What does it mean for us to think about Judaism as a genetic inheritance when Jewish communities in some parts of the world have practiced matrilineal descent (European), others patrilineal descent (Kaifeng, Karaites) and still others have found their way to Judaism through forced or voluntary conversion (the Idumeans of the ancient world and the Abayudaya of ours)? What about texts? Must Jews at least know of the existence of Talmud, and rely on rabbinic texts for their practice to be legitimate? If so, a number of Asian and African communities would be exiled from Jewish history. If we assumed Jewish communities have to have Tanakh, would that mean casting out the Lemba, whose Torah was an oral tradition of biblical stories? At one point, I asked my students: What, if anything, about Judaism could you do without? I love these pieces of Judaism. They add incredible, deep meaning to my life. And yet…any one of them, or all of them, could disappear from Judaism, and it would still be Judaism. Many of the somethings that our ancestors would have said define Judaism are already long gone. Not just our ancestors from millennia ago, like Moses and Miriam, but our literal grandparents! Some of the core pieces of their Jewish experiences have disappeared from our collective memory. And yet there is still a something that we call Judaism. And I like it! Despite the absence of so many rich treasures of our past, this Judaism thing is still pretty great! Because of that, I have a question that I commiserate over. More than asking what I couldn’t bear to live without, from Judaisms that exist today, I ask myself: ‘What doesn’t exist yet that my children will one day consider an inalienable, necessary, uncompromiseable piece of the thing called Judaism?’ That they could never imagine losing? How can we invent it? How quickly? That question, regarding our Jewish future and those who will inhabit it, should loom large at the core of what we do. May we be blessed with many diverse answers to it. We need to be checking our rear-view mirror frequently. But the road in front of the windshield beckons us too. Let’s keep our eyes there as much as we can. Regardless of our viewing direction, we need to ask questions that nourish, feed and sustain what we call “Judaism.” For our future’s sake, we will be required to think beyond what we think we know is Jewish. From Asia to Africa to Europe and beyond. From ancient Israelite to modern Karaite. From all that is now to all that is yet to come.